Spring is here in earnest. Today being Wednesday 24 September 2014, Heritage day, a public holiday in South Africa. The morning started out very dull and gloomy and overcast and windy. I am definitely not going to be grazing today. 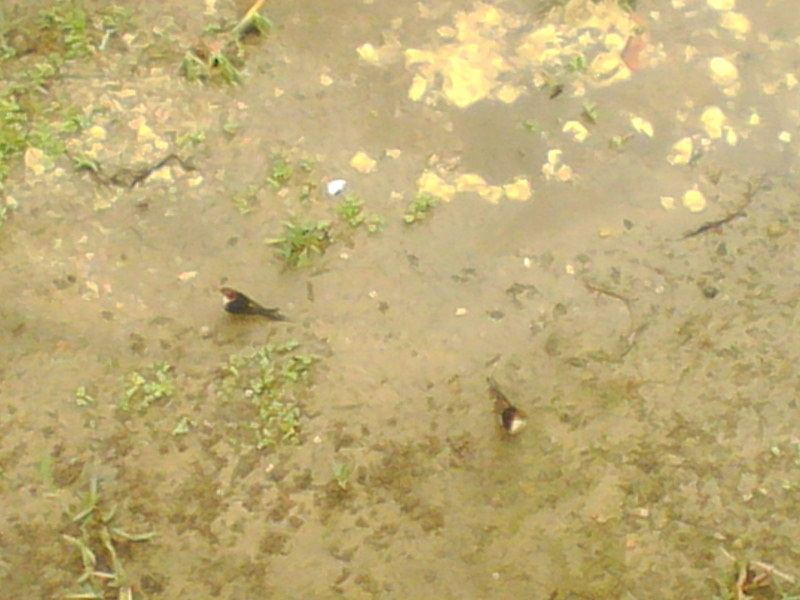 While enjoying my morning coffee on my porch I noticed two swallows flying around the complex. On closer inspection I found them on the ground collecting mud from the parts that is still sodden after the winter rains we have been having even now still. It seems my two Greater striped swallows from last year have returned to rebuild their nest they vacated earlier this year when the migrated to warmer climes. Author africanbirdingPosted on September 24, 2014 September 24, 2014 Categories UncategorizedLeave a comment on Spring is here in earnest. BirdLife International has announced that vultures are declining and rapidly becoming one of the world’s most threatened groups of birds. In a bid to stop this important family of birds slipping towards extinction in Europe and Africa, they have launched a global campaign asking for public support to “Stop Vulture Poisoning Now”. The crash of vulture populations in Asia was shockingly fast – quicker than any other wild bird, including the Dodo. Within a decade, species such as the White-rumped Vulture declined by 99.9% in India alone as a result of veterinary drug diclofenac that is lethally toxic to vultures. Eleven species of vultures occur on the African continent, and threats to these vultures include deliberate and accidental poisoning, habitat loss, energy infrastructure and persecution for body parts to be used in traditional medicine. This year, I spent more time along the Hudson River and the ocean in Connecticut and Rhode Island to fill a large void in my life list… shorebirds! I’ve always loved sandpipers and plovers, but they aren’t very easy to find around here and when you do find them, they are often far away. For my first Greater Yellowlegs, they actually flew over me in April this year! I heard a strange call while roaming the shore at Kingston Point Park along the Hudson River. 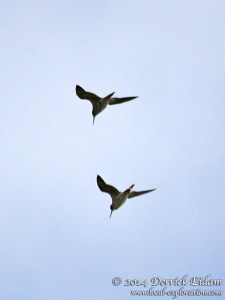 When I looked up, four tern-sized birds flew over and never landed. With the call etched in my brain, I played through the iBird app on my phone until I made the match. Very exciting moment, but not a very good shot. Veteran member and bird ringer Mike Ford did some research on the most frequent question being asked: How long do birds live? He looked up the longevity records for a few species in the SAFRING database for birds ringed and re-captured later. This does not fully represent the actual life-span of the bird – as it is released again after re-capture to continue on for how many more days, months or years, and as very few birds live to their full age potential, due to predation, disease, parasites etc. But it does illustrate the longest intervals between first capture and last re-capture. To make things a bit less open-ended he searched for longevity records for birds first ringed as juveniles. Author africanbirdingPosted on September 6, 2014 Categories UncategorizedLeave a comment on How long do birds live? Connecticut continued to be a great place in May to look for new species I’ve never seen before. At the Coastal Center at Milford Point, I found a mixed flock of shorebirds and terns sitting just off shore. Many of them were new sightings for me (more on that later), including this common tern. 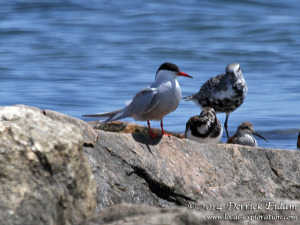 This tern was a little bit bigger than the least terns, plus the beak and legs were a little more red. The tern only stayed around for a little while, and it was the only one I saw during my visit. Sometimes though, that’s all you need!